Gesing Village Hidden rice terrace in an explore village in the northern part of Bali . Not like other popular rice terrace in Bali Gesing Rice terrace is a place which is away from tourism crowd . Gesing Village how the call the small village in the northern part of Bali . The village that located in northern hills area just after Munduk Village . Approximately 1200 meters above sea level and one of the village under north region . The weather here is cold and with high number of raining in every year . That is way the village has growing as a big agriculture village . 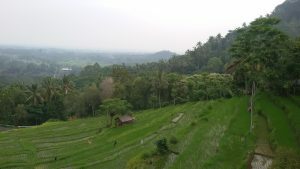 With huge area of rice terrace and also clove farm . The area of the village approximately 1200 hectares including the local residence , clove farm and also the rice terrace . Gesing Village Hidden rice terrace isn’t so difficult to reach . You may organize the tour with our Bali Private Driver service . Its about 25 kilometers from the city center of north region toward Munduk Village . 75 kilometers from Denpasar the capital city of Bali . The rice terrace view is along the village street to get to the village residence . Its beautiful and unexplored sites that really recommended to see if you love to see the the great landscape . Beside the rice terrace this village also popular among Holland peoples for the oldest three in the world . 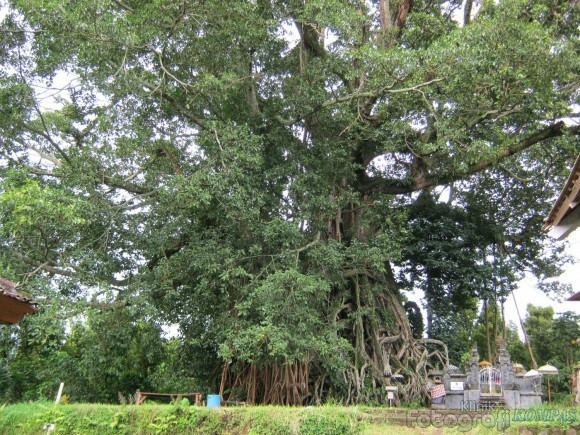 Still lies and alive huge banyan three that estimated over 700 – 1000 years age . During Holland colonial , some of the local soldier escape and hiding from Holland troops by entering the three and they were disappear . For local villager they believe the three has a magical protection power . Every year the number of visitor are more and more . They love to see the nature , how the local peoples live in their rich tradition based on the local wisdom . The villagers also welcome the investor to build their accommodation service to the visitors who would like to stay overnight in this village . There are some small Hotels run by local around the village area . Thanks so much for enjoying our blog content and your help to share it to your followers . My name is Made and would love to be your friend on your facebook to .